Qigong is a series of exercises that coordinate breathing and stretching that enhances the development and movement of Qi through the body. According to Chinese medicine principles, this opens up any blockages to allow for better circulation, increased energy and improvement in over all health. The Yang short form is the most common and easiest to learn. 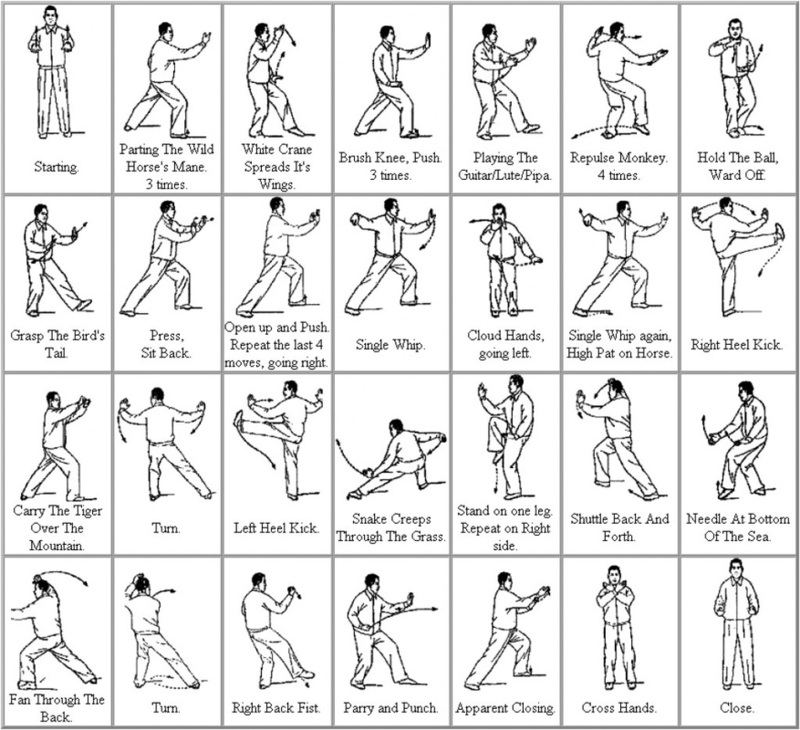 It was developed as a way for novices to begin their Tai Chi journey and still retain all the martial and health benefits that more complex systems offer. One of the greatest benefits is that 50% of it is training the mind. Based on the principle of Neuroplasticity, the brain is not a fixed object. New pathways are created while old ones are dying. Exercises like Tai Chi help the brain constantly create new pathways. This can be achieved by learning anything new but Tai Chi uniquely incorporates a physical dimension, add the breathing and meditative aspects and it becomes an exercise that combines mind, body and spirit to work as one. Below is a quick study guide of the form to practice at home. It's not complete but offers enough information to aid what you learn in the class.